Why 4 February Is Special To Remove Problems? If you want to know about a day which will help you to minimize problems of life then here is the important date and time. This day is very important to perform rituals, totkay, pooja, prayers to remove hurdles of life. Yes I am talking about 4th of February 2019, Monday. This day is very auspicious if you believe in astrology and want to perform some special poojas. Why February 4 is Important? Mauni Amavasya is falling i.e. no moon night which is treated as very important day to perform prayers for the peace of ancestors. Next is, there is sarwarth siddhi yoga on this day which is making this day sacred and importat. Next is Kumbh shahi bath will be done on this day too. With this the most important thing is that when Amavasya falls on Monday then the importance increases too much and this day is known as "Somwati Amavasya". It is said to be the best day for offering prayers and donate things for well being. In ujjain, there is a somwati kund in the premises of Someshwar mahadev and as per skand puran, it is very good to take bath on this kund on somwati amavasya and to offer prayer at someshwar mahadev temple in ujjain/awantika. The prayer at this temple is very good for those people who have malefic moon in there horoscope. What Can Be Done On 4th February 2019 For Hurdle-free life? If you have pitru dosha in horoscope then you can perform pitru shanti pooja on this auspicious day of somwati amavasya and sarwarth siddhi yoga. 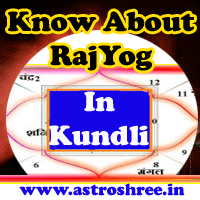 If you have chandra dosha in kundli then also you can perform pooja on this day. If anyone is suffering from black magic or evil eye effect then it is good to take bath in holy river and then perform utara and poojas under guidance of scholars. If anyone want to activate any spell then also this day is very good. This day is good for tantra saadhna, mantra saadhna, performing rituals etc. Shiv pooja on this day will show great positive impact in life. So if you are near any holy river then do take bath on this auspicious day and offer pooja in any shiva temple for the peace of your ancestors and to make your life hurdle-free. Do donate cloths, food, money as per your capacity to needy, brahmins, etc. If you want to perform poojas as per your Horoscope then do CONSULT ASTROLOGER now here. Get guidance for better life. Know about best gems stone as per astrology. Know about your love life. Get the solutions of legal problems. Get-rid of enemies and black magic problems. 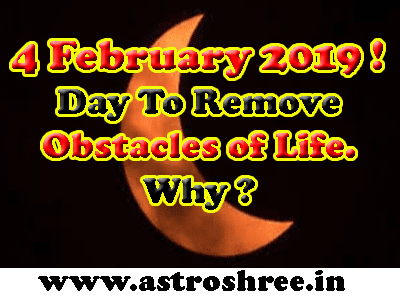 Why 4 February Is Special To Remove Problems?, best day to remove problems of life, kumbh shahi snaan date, somwati amavasya date in february 2019.